The largest nursing home provider in Texas filed for bankruptcy. Senior Care Centers filed for Chapter 11 protection. The Dallas based company operates about 100 facilities in Texas reported more than $100 million in debt. The company pledged that patient care will not suffer due to its financial woes. However, the Texas Health Care Association, an advocacy group for the long-term care industry, said this bankruptcy sends a signal that the industry that many elderly Texans depend on is in serious trouble. And because of the rapidly aging population of Texas and the reluctance of the State lawmakers to raise the Medicaid reimbursement rate, the situation is getting much worse. Kevin Warren is the President and CEO of the Texas Health Care Association. There are lots of words that come to mind in trying to sum up 2018. But getting it down to just one. That's the challenge that many dictionary publishers and editors take on. What does that one word say about us and our time? In her commentary Texas Public Radio contirbutor Yvette Benavides tracks the words of the last few years and traces how we got to 2018's dubious selections. Benavides is a professor of English and creative writing at Out Lady of the Lake University. The end of the year means a look at the word of the year from a variety of dictionaries. The top word, presumably, is a metonym for our collective experience of the year’s events. Among the dictionaries that publish these lists is the Oxford. The British publisher’s word of the year for 2018 for both the UK and the US is “toxic.” Data reveals a 45 percent increase in the number of times people have looked up the word on its website. Let’s consider what’s toxic: the things we eat (beef, poultry, and romaine lettuce among recently recalled items), the places we live (smog-filled atmospheres, polluted waters), the people with whom we interact (in our relationships, work places, schools, social media), and in our systems and institutions (sports, the literary arts, Hollywood, the courts, the press, the White House). That doesn’t sound too scientific, but judges ultimately choose the word based on evidence from an “extensive language research program, including the Oxford Corpus, which gathers 150 million words of current English from web-based publications each month.” From there, software helps lexicographers identify “new and emerging words and examine the shifts in how established words are being used.” Dictionary editors “flag notable words” and use “other sources of data,” including suggestions made in comments on the dictionary’s social media. It is a figurative finger on the pulse of society to name what has gone on over the last 12 months. And other dictionaries file suit and list their own words of the year after this kind of deliberation and data-mining of their own. A quick scan of past words of the year reveals something else. A decade ago, the word of the year was “hypermiling,” which denotes the collection of driving techniques that improve a car’s fuel efficiency. In 2007, the word was “locavore,” a person whose diet consists of locally grown or produced food. The year before that, in 2006, the term that reflected our preoccupation was “carbon neutral,” a process of canceling out a carbon footprint. That first decade of the early aughts shows a concerned consumer proactively seeking ways to improve the planet. In contrast, in those same years, Merriam-Webster offered a series of quotidian terms that don’t seem particularly loaded or reflective of a concerted effort or goal though they are no doubt word of the year selections because of a surge in search engine spikes. Something in our collective experience brought about the need to learn more about these words, associated with larger events. For instance, from 2009 to 2014, the words were “admonish,” “austerity,” “pragmatic,” “socialism” tied with “capitalism” (perhaps comparative searches going on that year), “science,” and “culture.” These are big words, weighty words. However, the words are not ostensibly contentious ones and, paradoxically, these were also simpler words. Did they suggest simpler times? Just one year after we were introduced to hypermiling, the word that reflected the year for our society was “unfriend.” At the time, I remember being mildly horrified by the word and its place in the year-end round-up. Is this what our world had come to, this bullying coinage borne of the damnable bane of human pastime, Facebook? Today, it seems so anemic, and I consider it through a gauzy veil of nostalgia. We start to see a glimmer of the ways in which just one person in a hissy-fit of a Tweet storm can bring about change in a language. We also see how even a word that is uttered in one place by one person, begins to shape the collective consciousness of society and attract either followers or detractors. In the intervening years, equally innocuous terms emerged as resonant with our society. “GIF,” “Selfie,” and “Vaping” were number one in 2012, 2013, and 2014, respectively. So those hypermiling locavores moved from concerns of being carbon neutral to something, perhaps, beyond their proactive control. In 2015 we were on the precipice of something headed our way. That simmering period brought us, not a word of the year, but an emoji, the one of a smiley face crying. And that somehow seems appropriate as it feels like we’re all trying to smile through the tears and whistle past the proverbial graveyard just to move through our days when things seem irrevocably broken and, well, toxic. 2016 words of the year from Oxford and Merriam-Webster’s were “post truth” and “surreal,” respectively, words that seem more synonymous than not. The Oxford for both the UK and the US also shared the 2017 word, “youthquake,” the significant, cultural, political, or social change arising from the actions or influence of young people.” While that word isn’t exactly on everyone’s lips, the selection was grimly prophetic. Who’d know that only a couple of months later, on Valentine’s Day of 2018, the young people of Marjory Stoneman Douglas in Parkland, Florida would rock our nation with the power of their conviction to end gun violence after the massacre there that killed 17 classmates and teachers. Our children, some of them too young to vote at the time, started to do the work the rest of us can’t seem to manage because of the worst thing that ever happened to them. Youthquake. So now there is a word for what we used to consider unimaginable and nameless. Who’d know indeed that our collective lexicon would move from words like “democracy” and “integrity” in 2003 and 2005 to the influence of the Dictionary.com word of the year, “misinformation,” and the related aim of hoaxers to call these children from Parkland crisis actors? Words matter. That idea gets lost, as we live in a toxic times when the leader of the country torments reporters and other politicians with schoolyard invectives and whose daily lies are well-documented. In gaslighting and other manipulations, words are also used against us and transcend simple denotative communication to larger deceits—no less real for being incredible or absurd or beyond the pale of anything any one of us has experienced before. Language sets us apart from other species. Humans communicate and share information with words. They are the stock in trade, not just of lexicographers, writers and teachers, but of us all. They are the discrete units of stories. The word of the year, whatever it might be, is somehow imbued with a power to—on its own—tell society’s story for a particular year, and it isn’t always a very satisfying one. The last few weeks of 2018 won’t do much to change the reported resonance of all that is “toxic” among us or the “misinformation” that flares out like a wild fire about everything from carbs and keto diets to Kardashians, from climate change to cover-ups and collusion. The poisonous power of fake news takes hold and infects—so much so that out of all the entries in our voluminous lexicon, that’s the pair that bubbled up to the top to represent what we’re enduring-- a sickening, murky, noxious cloud. After January 1, let’s put some unscientific intention and mental muscle behind that required resonance the dictionaries look for. Let’s put out lexical vibes borne of new mantras. Let’s all say things like “compassion” and “equity” and “justice.” Everyone start Googling “hope” or “truth” or “love” or words to that effect. It does not take a hurricane to put nursing home residents at risk when disaster strikes. Around the country, facilities have been caught unprepared for far more mundane emergencies than the hurricanes that struck Florida and Houston, according to an examination of federal inspection records. And these nursing homes rarely face severe reprimands, even when inspectors identify repeated lapses. 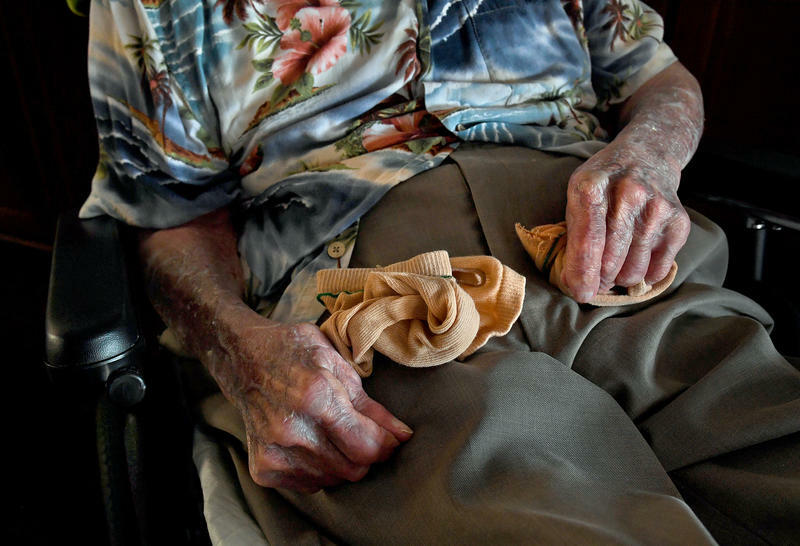 In some cases, nursing homes failed to prepare for even the most basic contingencies. Aging Hispanics are concerned they'll face both language and cultural barriers as they seek health care in their later years.